A mixture between curling and pétanque, this action-packed game originally comes from Germany where is well known as “Stockschießen”. Your four-player Ice Stock team will slide ice stocks (pucks) over the ice, aiming to reach the target. The closer the ice stock gets to the target, the more points your team will earn! 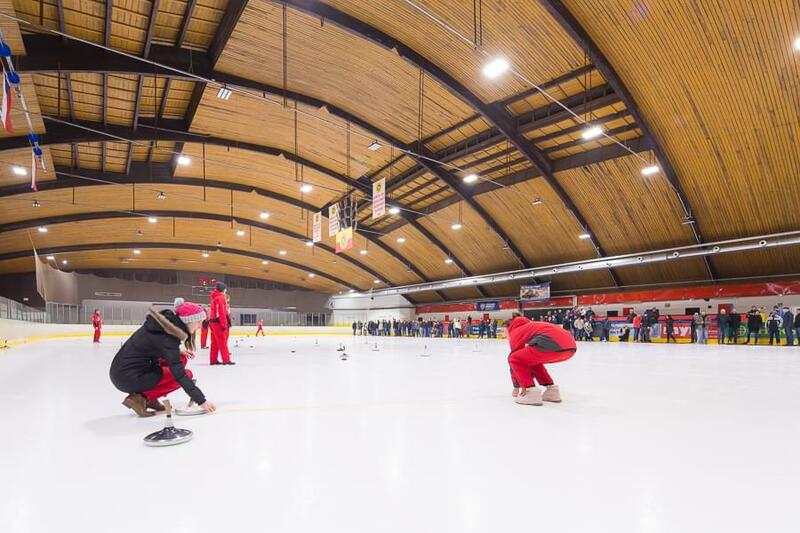 There are always at least two teams competing against each other, but the Ice Stock team building game can accommodate up to 80 players at a time. Despite the name, this activity is great for all seasons! 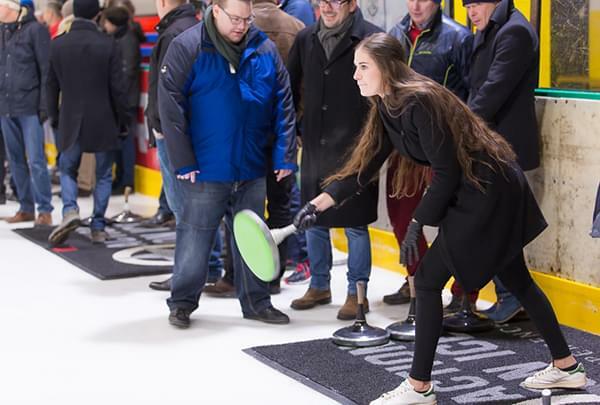 The game can be played on either an ice or an asphalt surface. We always hire an indoor ice arena or flat asphalt surface located in downtown of Prague, or with good accessibility to the city centre. During winter months, Ice Stock can be played on an outdoor ice rink in central Prague, providing a unique atmosphere. Guests are welcomed by a professional catering service with hot wine (svářak), beer (pivo) and small snacks. After a short introduction and explanation of the rules, the actual team activity will begin! The Ice Stock game lasts approximately two hours, depending on number of teams participating. Ice Stock is not physically taxing, so it is a great team building activity for any skill level. 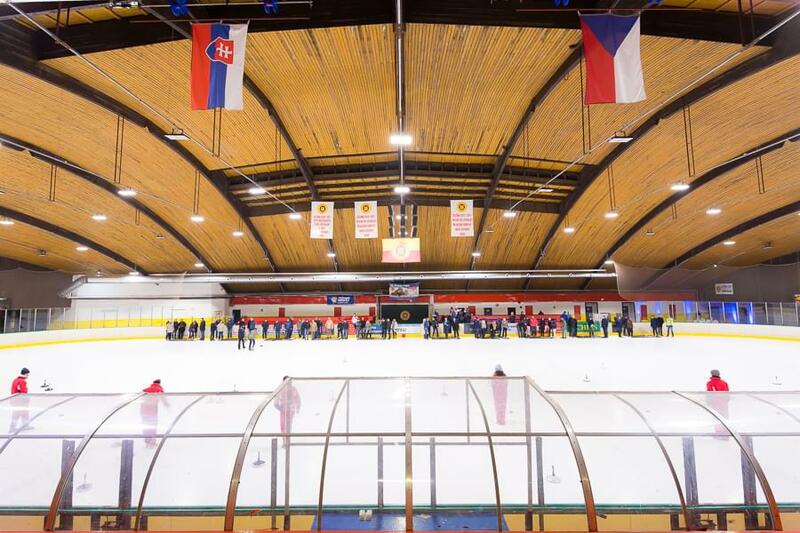 Break down the barriers between members of your team, and enjoy a memorable afternoon of Ice Stock in Prague!